We know that you’d rather be serving your clients than writing articles for your law firm’s email newsletters and other marketing collateral. However, your clients still need to get information and updates from you on a regular basis, and you need a way to demonstrate your firm’s expertise to entice new prospects. That’s why we provide you with relevant ready-to-go content. We ensure that brand new Standard Content articles launch with every edition of your email newsletter. 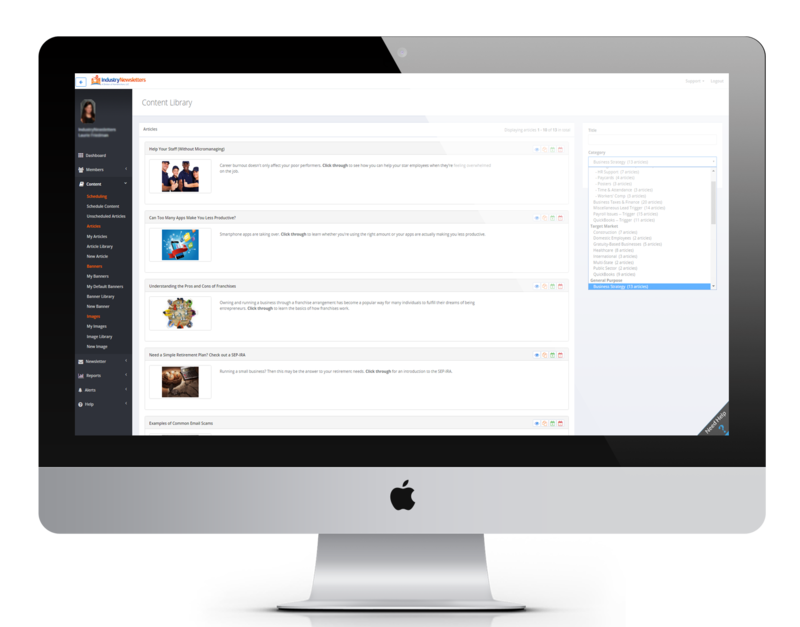 We also give you a stocked Content Library with additional articles, and we give you the reporting tools you need to track responses to your content. What Are Estate Planning Firm Clients Reading? 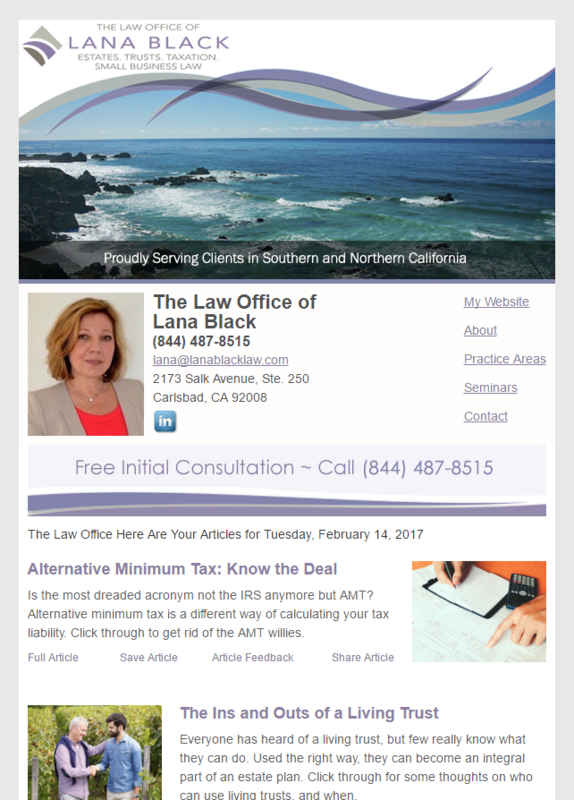 Every two weeks, we provide informative articles for our clients’ email newsletter campaigns. 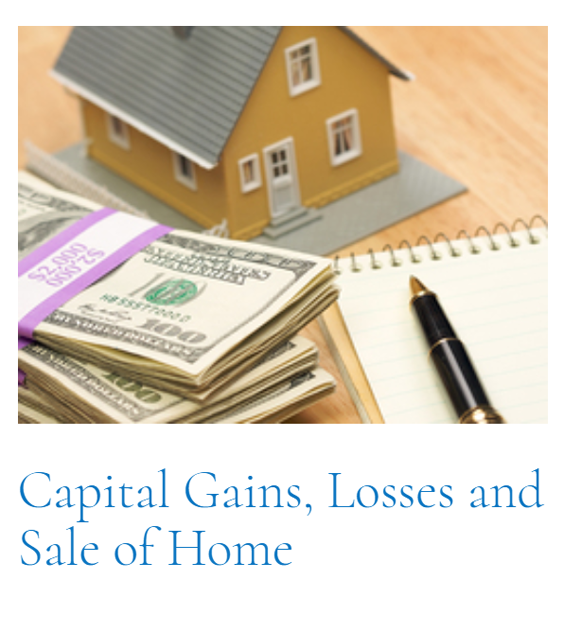 For this launch cycle the article titled Capital Gains, Losses and Sale of Home was a clear winner with the highest click-through activity. To get an idea of the type of content we provide, scroll down to look through our content categories. You can also read the article itself by clicking the button below. We ensure that brand new professionally written Standard Content articles launch with every edition of your email newsletter. We also give you a stocked Content Library with additional articles designed to generate leads and reach your target markets. 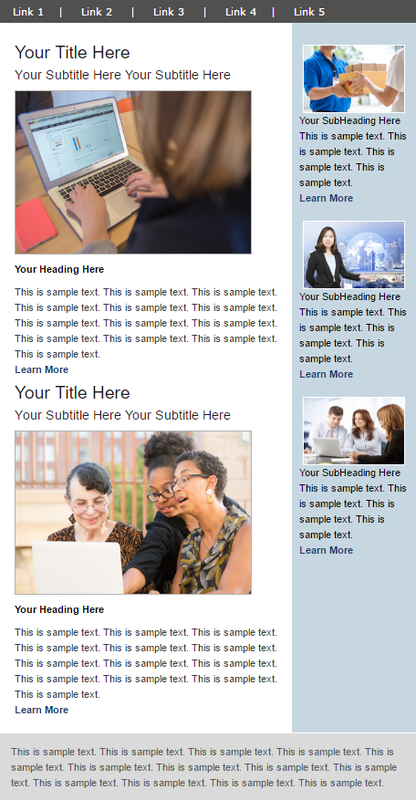 Our Content Library also houses hundreds of templates that can be used to create custom newsletter articles or OnTarget email blasts. Our Standard Content is written on a variety of topics that will be of interest to your clients, prospects, and referral sources, such as Estate Planning, Retirement Planning, Trusts, Estate Taxes, Elder Care, and more. Our Standard Articles will launch automatically with each edition of your newsletters, and we give you the option to exclude any standard article at will with one simple click. Check out a sample article in each of the categories below to get an idea of the type of content you could be sharing in your email newsletter. Our Special Video Reports cover a variety of topics including the Federal Reserves and the basics of Estate Planning. Our Estate Planning Content covers many topics including, getting started on your own personal estate plan and discussing your estate plan with your family. Help your readers make the right decisions in retirement planning with our library of informative retirement planning articles. With our library of ‘Trusts’ your readers will receive helpful info and tips on trusts. Get the answers to all the top Estate Tax Questions with our Estate Tax articles. Get helpful tips about tax breaks and interviewing at-home caregivers with our Elder Care articles. Our Content Library is your writer’s block solution. Access our Content Library and choose from the following wide variety of categories to augment your email newsletter communications. Our content is written on a variety of topics that will be of interest to your clients, prospects, and referral sources, such as Estate Planning, Retirement Planning, Trusts, Estate Taxes, Elder Care, and more. Our Trigger Articles are specially designed and written to automatically alert you (either in real time or in a daily digest) every time a client or prospect clicks through to read these unique articles. Your readers, young and old, will benefit from our library of Estate Planning articles. We offer insight on topics including how to discuss your estate plan with your family and estate planning for people under 40. As an adult, there comes a time when you must plan to care for your aging parents. Our Elder Care articles offer your reader insight on the legal and financial issues that come with Elder Care. Our Medicaid articles keep your clients and prospects updated on changes to the nation’s federal and state-sponsored health insurance programs. We also write content that keeps your clients informed about changes to the Affordable Care Act (ACA). Get helpful tips with our Affordable Care Act (ACA) articles. Get helpful tips about Medicaid with our Medicaid Eligibility articles. Our General Estate Articles cover everything from wills, trusts, retirement and savings to all common estate planning topics. Whether you’re starting early on retirement planning, or you’ve put it off until the last minute, our Retirement articles offer tips to get you started on the right path. Our insurance content covers many issues, such as long-term care insurance, insurance for home-based businesses and other insurance topics. The IndustryNewsletters OnTarget email blast feature allows you to send estate planning seminar announcements, updates on changing laws, firm events, or other time-sensitive updates. We’ll also automatically track links in the body of your OnTarget email in your reporting dashboard so you can follow the results of your launches. We know some announcements just can’t wait for your bi-weekly newsletter launches. That’s why we created our OnTarget email blast tool to help you reach your entire database anytime you need. 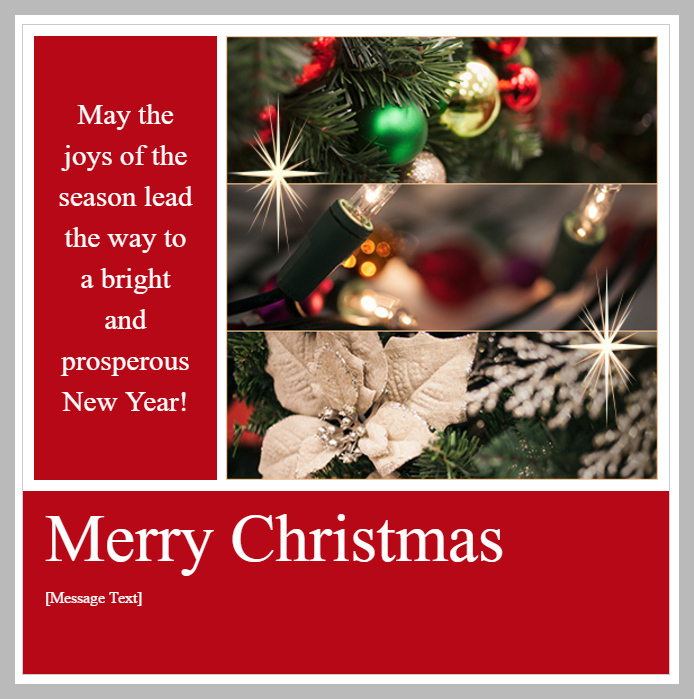 OnTarget messages are also pre-formatted to automatically include your newsletter’s graphics, website links, social media links and contact information, making it a breeze to build a new message. 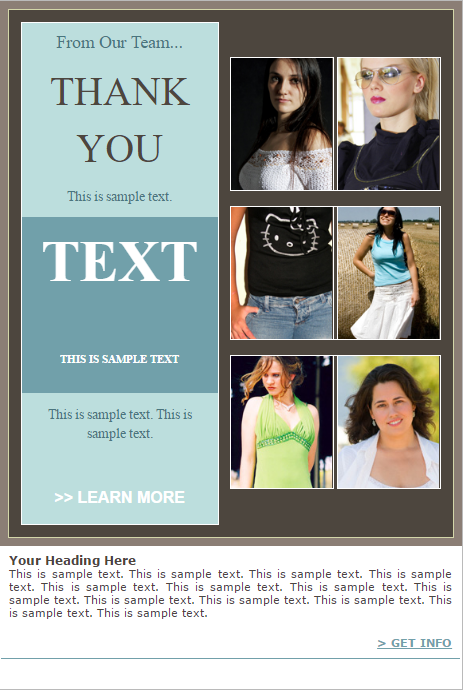 Hundreds of email blast templates in over a dozen different categories are available for use in your marketing communications. 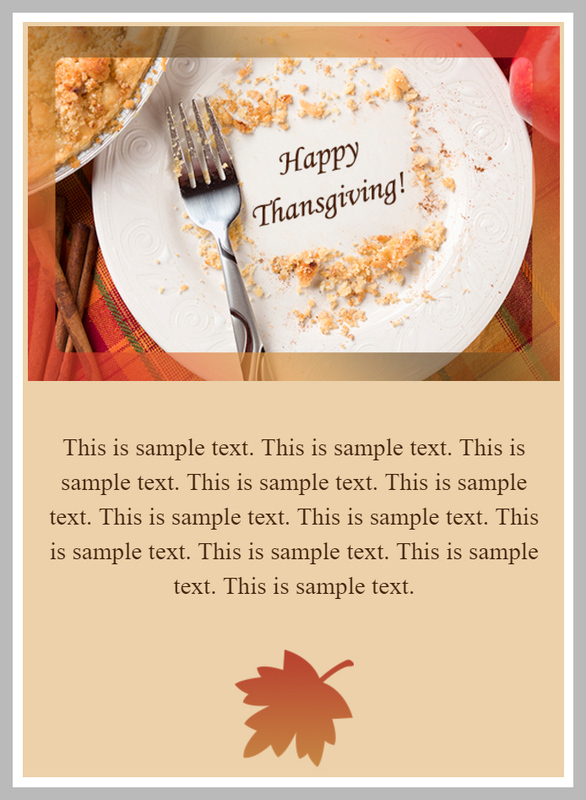 Here are several examples, including a special offer template, an event template, and holiday templates. Click the image below to view a full email newsletter example from a professional in the health and wellness industry.